The growth of the aquaculture industry in Nigeria depends to some extent on the availability of fish seeds. This study was carried out to measure the optimum growth of Heterobranchus bidorsalis and the best time to crop under maximum utilization of feed in semi-intensive pond condition. Optimum growth performances of 330 fingerlings of artificially propagated Heterobranchus bidorsalis were investigated. The fingerlings were stocked in three 0.02 hectares earthen ponds on the 1st of February, 2010. Mean weight at stocking was 8.5±1.5 g. The fish were fed 3% of their body weight two times daily with compounded artificial feed containing 45% crude protein. Temperature, dissolved oxygen, pH and total ammonia-nitrogen were measured in each treatment. Survival rate, specific growth rate and condition factor of fish species were also determined. Survival at harvest (after 26 weeks) was 75.5% and the mean weight of the fish was 850±73.06 g. Standing crop at harvest was 10,580 kg ha-1. There was positive correlation (0.99) between growth of Heterobranchus bidorsalis and the number of weeks of growth study of the fish. Mean condition factor (K) was 1.24. Result demonstrated the potential of Heterobranchus bidorsalis for use in aquaculture. It also indicates that the fish species can be grown to commercial size within 26 weeks from fingerling stage under semi-intensive pond conditions. The best time to harvest the fish for maximum gain in terms of good growth and maximum profit on feed utilization is 26 weeks after hatching. F.G. Owodeinde , 2012. Optimum Growth Determination of Heterobranchus bidorsalis in Earthen Ponds. Journal of Biological Sciences, 12: 168-173. Intensification of aquaculture practices in Nigeria has been identified as one of the tools that can help in closing the gap between demand and supply of fish and fisheries products (Owodeinde and Ndimele, 2011). This is particularly important in the culture of acceptable fish species (Clarias gariepinus and Heterobranchus sp.) in commercial quantities (Ojutiku, 2008; Ndome et al., 2011). The clariid catfishes constitute an excellent food fish of high commercial value in Nigeria and some other countries of the world (Adebayo and Popoola, 2008; Huda et al., 2002). Heterobranchus bidorsalis is one of the two main genera of the African mud catfish (Clarias and Heterobranchus) widely cultured in Africa, Asia and Europe (Adewolu and Adoti, 2010; Kori-Siakpere et al., 2006). This is due to their outstanding culture characteristics such as ability to withstand unfavourable environmental conditions, efficient in utilizing various types of locally formulated fish feed, resistance to diseases, high economic potential and simple techniques in the propagation of their fingerlings (Fagbenro and Sydenham, 1988; Dada and Olarewaju, 1996; Owodeinde and Ndimele, 2011). A lot of Nigerians have demonstrated their interest in catfish consumption. This feeding habit of Nigerians tends to support the commercial propagation of clariid catfishes and this trend became noticeable since the late 1980s. This was when it became apparent that commercially exploited clariid populations in the wild were declining but their commercial value was increasing. This situation triggered off interest in the culture of clariid catfishes as commercial food fish. Its value as food fish is reflected in the wholesale prices in the local markets which ranged from $4.00 to 6.00 kg-1 depending on the size, location and season of capture. This high demand of the clariids resulted in generally high prices which serve as an added inducement to would-be fish farmers or groups interested in commercial fish culture. Studies on Heterobranchus species in Nigeria focused on stock and chromosome manipulations, performances of intraspecific hybrids and growth performances at different dietary compositions in indoor and outdoor concrete tanks (Madu et al., 1991, 1993; Aluko and Aluko, 1998; Aluko et al., 1999, 2000; Madu and Aluko, 1999). However, none had detailed investigation on the growth and survival of this clariid species-Heterobranchus bidorsalis under semi-intensive pond conditions. This study is aimed at evaluating the potentials for culturing Heterobranchus bidorsalis to commercial size and using simple regression technique equation to determine the relationship between the body weight of Heterobranchus bidorsalis and the number of weeks of growth with a view of determining the optimum growth and the best time to crop under maximum utilization of feed in semi-intensive pond condition. Collection and acclimation of experimental fish: Fingerlings of Heterobranchus bidorsalis used in this study were obtained from the Hatchery Complex of the Department of Fisheries, Lagos State University (LASU) Ojo, Nigeria. Upon arrival at the Omague Fish Farm Ijotun, in the Badagry Local Government of Lagos State, Nigeria, where the experiment was conducted. The fish were kept in the rearing tanks to allow them recover from stress due to transportation and acclimatized them to their new environment. They were in the rearing tanks for two weeks, during which they were fed on compounded diet. Experimental procedure: Three rectangular earthen ponds of 20 m in lengthx10 m in width (0.02 hectare) each were stocked between 1st February, 2010 and 30th August, 2010, with 330 randomly selected artificially reared fingerlings of Heterobranchus bidorsalis (mean weight 8.5±1.5 g). Two weeks before stocking, the ponds were filled with water from the farm bore-hole, fertilized with complete in-organic fertilizer (N15P15K15) at the rate of 112 kg ha-1 and poultry manure at the rate of 200 kg ha-1, then seeded with plankton collected from a culture farm pond by pumping pond water through plankton net. Two times daily, the fish were fed 3% of their body weight with compounded artificial feed containing 45% crude protein, prepared by using the following ingredients fish meal (15.8%), soybean meal (59.4%), yellow maize (18.2%), blood meal (5.1%) vegetable oil (1.0%) and vitamin premix (0.5%). At two weeks interval, the fish were sampled with a 2.0 cm mesh size bag seine net 25 m long to monitor growth. Fish were not fed 24 h before the samples were collected to allow the intestinal contents to be digested. To avoid sampling error at least 30% of the experimental fish species were weighed and the length measured bi-weekly. To avoid stress due to handling, the randomly selected fish were subjected to mild anesthetization in a 20 mg L-1 solution of MS-222 (tricaine methanesulfonate) purchased from Sigma Chemical, St. Louis Missouri, USA. They were measured for the Standard Length (SL), Total Length (TL) (to the nearest 0.1 mm); and wet weight (to the nearest 0.1 g) using graduated long ruler and top loading sensitive scale (Model, 1500). After all measurements, the fish were revived in fresh water and then returned to the ponds. On the 30th of August 2010, the ponds were drained; all the fish were removed, counted and weighed to determine the survival rate and standing crops. They were held in three 6 m3 concrete tanks. Determination of water quality parameters: The following water quality parameters were measured during the study period; temperature, dissolved oxygen, pH and total ammonia-nitrogen. Temperature was monitored with a simple mercury-in-glass thermometer graduated in 0.01°C. Dissolved oxygen was usually measured between 0700-0800 h with a YSI model-57 DO meter and further authenticated by alkaline-azide-modification of Winklers method (Boyd, 1981). pH values were determined using a Griffin pH meter (Model 400) while total ammonia-nitrogen were determined by the standard method described by Boyd (1981). where, Y is mean weight of the fish (g); BO and B1 are all constant. BO is the intercept on Y-axis; B1 is the slope of the line or gradient and X1 is no of weeks of growth. With this equation one can determine the size/weight of the study fish at any point in time. where, SGR or G is specific growth rate, Wt is the weight (g) at the end of the interval (end of the period), Wo is the weight (g) at the beginning of the period and t is time (i.e., the duration between initial and final sampling) in days. The calculation of SGR which accounts for both initial and final sizes is useful in comparing growth of the fish species at different sizes (Brown, 1946, 1957). This formula estimated the percentage increase in weight per growth period. where, W is the fresh weight in (g) and L the standard length (mm). where, W1 is the weight of the fish at day 1, Wo is the weight of the fish at day zero, F is the percentage feeding rate and C is the Food Conversion Ratio (FCR). Several investigators have recently demonstrated that Heterobranchus bidorsalis can be grown to commercial size in various types of culture systems (Madu et al., 1991, 1993; Madu and Aluko, 1999). The present study yielded the best growth and production rates yet published in Nigeria on H. bidorsalis grown to commercial size in commercial quantities in earthen ponds and serves as a further indication of the potential of H. bidorsalis for commercial culture. 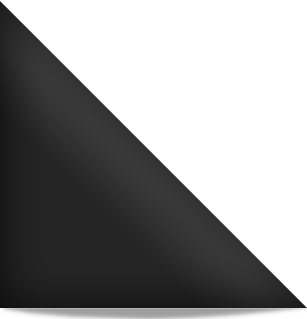 A geometric growth curve was observed when the relationships between the two variables were plotted against each other. The observed growth curve shows the best time to harvest H. bidorsalis for maximum gain in terms of good growth and when maximum profit on feed utilization can be achieved. The study shows that H. bidorsalis could better be harvested at 26 weeks from fingerling stage. Beyond this time there was decreased efficiency of feed utilization and a decline in growth rate set in (Fig. 1). At the final harvest survival was 75.75% of all the fish stocked and the mean standing crop was 10,580 kg ha-1. Since no physical mortality was recorded during the study period, piscivorous birds and poaching contributed to the mortality. Over 95% of H. bidorsalis were considered marketable (≥500 g) and the weight distributions of the samples in May, June, July and August indicated that about 50, 65, 80 and 95%, respectively were marketable at those ages (5, 6, 7 and 8 months, respectively). Because about 65% of the fish in the present study were considered commercially harvestable by mid-June (age 6 months) and over 95% had attained that status by mid-August (age 8 months), they could have been selectively harvested and sold during the period when prices were at premium (Fig. 2-4 showed the clusters exhibited by each of these figures). This practice would allow consolidation of smaller fish into fewer ponds for additional growth. The removal of larger fish would also provide early cash return and eliminate the need of looking for buyers for a large percentage of the Heterobranchus bidorsalis which would have been commercially marketable in the restaurant trade (Fig. 2-4). Specific growth rate (SGR) and condition factor (K): Daily specific growth rate declined from a maximum of 4.35 per day during the first month of study to as low as -0.67 per day. High initial specific growth rates that decrease with increasing age and individual fish biomass (and consequent increased metabolic costs) followed typical pattern of fish growth (Kerby et al., 1987). Mean condition factor (K) for fish sampled was 1.24, however, all the fish in the ponds had condition factor greater than 1.10 which appeared to represent desirable levels as most fish were healthy and robust. Fish that were sacrificed after the harvest contained appreciable quantities of abdominal fat. Water quality: Water quality parameters were generally within acceptable limits. Bore-hole water with an alkalinity of 27.6 mg L-1 as CaCO3 was used to fill the ponds. Water quality values were generally satisfactory for the growth and health of the experimental fish species (Ndimele and Kumolu-Johnson, 2011; Ndimele et al., 2011; Ndimele, 2012). Values for total ammonia nitrogen did not exceed 0.08 mg L-1 and were normally in a range from 0.02-0.06 mg L-1. The pH ranged between 7.3 to 8.7. temperature 25-27°C, dissolved carbon dioxide ranged between 6-9 mg L-1 and dissolved oxygen concentrations 5.5-9.3 mg L-1 remained within acceptable limits. All these water quality parameters fall within the range reported by Huet (1979) as good for pond fish culture. Food conversion ratios: Food Conversion Ratio (FCR) (expressed as weight of dry feed/wet weight of fish) was 3.22±0.01. Though, the FCR in most fishes e.g., catfishes vary from less than 1.5 to 5.0 (Jensen, 1989), the FCR is a little on the high side in the present study. The reason for this high FCR is not known. Since sinking pelleted feed was used, significant amount of feed might be wasted, this could account for high FCR observed in this study. We believe that feeding practices can be refined to provide more efficient conversion ratios without reducing growth rates. In conclusion, this study has shown clearly that optimum growth and the best time to crop Heterobranchus bidorsalis under maximum utilization of feed can be determined in semi-intensive pond. We thank Mr. Austin Anetekhai and Mr. Pascal Opuehi for their assistance in the collection of data and for taking care of the fish. We also give thanks to Omague Fish Farm, Ijotun in the Badagry Local Government of Lagos State for the use of the three experimental ponds. We express our gratitude to the Department of Fisheries Lagos State University, Ojo, Nigeria for providing the juveniles of H. bidorsalis. Adebayo, O.T. and O.M. Popoola, 2008. Comparative evaluation of efficacy and cost of synthetic and non-synthetic hormones for artificial breeding of African catfish (Clarias gariepinus Burchell, 1822). J. Fish. Aquat. Sci., 3: 66-71. Adewolu, M.A. and A.J. Adoti, 2010. Effect of mixed feeding schedules with varying dietary crude protein levels on the growth and feed utilization of Clarias gariepinus (Burchell, 1822) fingerlings. J. Fish. Aquat. Sci., 5: 304-310. Aluko, P.O. and J.F. Aluko, 1998. Production of a superior genotype. Fast Growing Triploid Hybridf of Clarias and Heterobranchus by Direct Triploidization. NIFFR Annual Report, 1998, pp: 45-49. Aluko, P.O., A. Aremu and S. Issa, 1999. Growth performance of Intraspecific hybrids of three strains of Heterobranchus longifilis. National Institute of Freshwater Fisheries Research, New Bussa, NIFFR Annual Report 1999, pp: 45-49. Aluko, P.O., D. Woru and A. Aremu, 2000. Preliminary studies on initiation of uniform size breeding line in Heterobranchus-Clarias gynogens. National Institute of Freshwater Fisheries Research, New Bussa, NIFFR Annual Report 2000, pp: 53-56. Boyd, C.E., 1981. Water Quality in Warm Water Fish Ponds. Agricultural Experimental Station, Auburn University, Alabama, AL., USA., Pages: 359. Brown, M.E., 1946. The growth of brown trout (Salmo trutta Linn. ): Factors influencing the growth of trout fry. J. Exp. Biol., 22: 118-129. Brown, M.E., 1957. Experimental Studies on Growth. In: The Physiology of Fishes, Volume 1: Metabolism, Varley, M.E. (Ed.). Chapter 9, Academic Press, New York, USA., ISBN-13: 9781483227634, pp: 361-400. Dada, A.A. and O. Olarewaju, 1996. Comparative growth and survival of the catfishes: Clarias sp., Heterobranchus spp. and their hybrid fry under out door nursery management system. National Institute for Freshwater Fisheries Research Annual Report, New Bussa, Nigeria, pp: 115-122. Fagbenro, O.A. and D.H.J. Sydenham, 1988. Evaluation of Clarias isheriensis (Sydenham) under semi-intensive management in ponds. Aquaculture, 74: 287-291. Huda, F.A., M.M. Salehin and M.I. Khan, 2002. Economics of Periphyton-based aquaculture production in Bangladesh. J. Biol. Sci., 2: 518-519. Huet, M., 1979. Textbook of Fish Culture: Breeding and Cultivation of Fish. Fishing News Books, Surrey, UK., Pages: 436. Jensen, G., 1989. Handbook for Common Calculations in Finfish Aquaculture. Louisiana State University Agricultural Center, Louisiana, USA., Pages: 59. Kerby, J.H., J.M. Hinshaw and M.T. Huish, 1987. Increased growth and production of striped bass × white bass hybrids in earthen ponds. J. World Aquacult. Soc., 18: 35-43. Kori-Siakpere, O., J.E.G. Ake and U.M. Avworo, 2006. Sublethal effects of cadmium on some selected haematological parameters of heteroclarias (A Hybrid of Heterobranchus bidorsalis and Clarias gariepinus). Int. J. Zool. Res., 2: 77-83. Lagler, K.F., 1956. Freshwater Fishery Biology. W.C. Brown Co., Dubuque, IA., USA., Pages: 450. Madu, C.T. and P.O. Aluko, 1999. Hybrid mud catfish production: Comparative growth and survival of hybrids and putative parents. Proceedings of the 12th Annual Conference of the Biotechnology Society of Nigeria, (BSN'99), Nigeria, pp: 89-94. Madu, C.T., E.O. Ita and S. Mohammed, 1991. Preliminary Study on the intergeneric hybridization of Clarias anguillaris and Heterobranchus bidorsalis. National Institute for Freshwater Fisheries Research Annual Report, New Bussa, Nigeria, pp: 68-73. Madu, C.T., S. Mohammed, J. Issa and E.O. Ita, 1993. Further studies on the growth, morphormetric and meristic characteristics of Clarias anguillaris: Heterobranchus bidorsalis and their hybrids. National Institute for Freshwater Fisheries Research Annual Report, New Bussa, pp: 23-29. Ndimele, P.E. and C.A. Kumolu-Johnson, 2011. Preliminary study on physico-chemistry and comparative morphometric characterisation of Cynothrissa mento (Regan, 1917) from Ologe, Badagry and Epe Lagoons, Lagos, Nigeria. Int. J. Agric. Res., 6: 736-746. Ndimele, P.E., 2012. The effects of water hyacinth (Eichhornia crassipes [Mart.] Solms) infestation on the physico-chemistry, nutrient and heavy metal content of badagry creek and ologe lagoon, Lagos, Nigeria. J. Environ. Sci. Technol., 5: 128-136. Ndimele, P.E., C.A. Kumolu-Johnson and M.A. Anetekhai, 2011. Spatial and temporal variations of some heavy metals in water, sediment and Chrysichthys nigrodigitatus (Lacepede, 1803) from ologe lagoon, lagos, Nigeria. Int. J. Biol. Chem., 5: 248-257. Ndome, C.B., I.U. Udo and S.N. Nkereuwem, 2011. Effect of organic fertilizer and formulated feed on the growth performance and condition factor of Clarias gariepinus♂ and Heterobranchus longifilis♀ hybrid. Int. J. Agric. Res., 6: 632-642. Ojutiku, R.O., 2008. Comparative survival and growth rate of Clarias gariepinus and heteroclarias hathclings fed live and frozen daphnia. Pak. J. Nutr., 7: 527-529. Owodeinde, F.G. and P.E. Ndimele, 2011. Survival, growth and feed utilization of two clariid catfish (Clarias gariepinus, Burchell 1822 and Heterobranchus bidorsalis, Geoffroy, 1809) and their reciprocal hybrids. J. Applied Ichthyol., 27: 1249-1253. Stickney, R.R., 1979. Principles of Warmwater Aquaculture. Wiley Interscienc, New York, Pages: 375. Uzoagulu, A.E., 1998. Practical Guide to Writing Research, Project Reports in Tertiary Institutions. John Jacob's Classic Publishers Ltd., South Africa, Pages: 385.